The persistence of the cultural identity of some so-called “white ethnic” groups such as Polish-Canadians has become increasingly problematic in the North American (U.S. and Canada) cultural space, dominated by mass media. The official declaration of Canada as a multicultural society has not led to an increased profile for some of these “white ethnic” groups such as Polish-Canadians. Indeed, there is a marked contrast between the major emphasis placed today in Canada on so-called visible minorities – as opposed to the so-called “white ethnics”. Canada and the United States today are countries where the various mass media have reached a historically unprecedented level of importance in determining the way in which persons think, create, and live. Living in such a mass-media saturated society, it now becomes almost impossible to even conceptualize how life might have been lived before the advent of radio, cinema, television, rock- and rap-music, cable-networks, or the Internet. To the extent that a certain cultural tendency does not appear prominently in the mass-media, its presence in society is almost certainly going to be minor. There is indeed some question whether the Internet, with its potential for a genuine pluralism of outlooks, is rather different from such media as radio, cinema, television, and rock- and rap-music, where the presence of so-called gatekeepers was always quite salient. However, the Internet had arrived as a truly widespread medium only in the late 1990s. Indeed, the first websites accessible to everyone who had a computer and Internet connection became possible only in 1995. Thus, the Internet arrived after over four decades of the very heavy conceptual and infrastructural weight of earlier media, most notably, television. Canada today is clearly in the ambit of a North American mass-media based pop-culture. This pop-culture quite relentlessly obliterates any distinctive fragment-cultures. This happens especially when they lack a presence in the mass-media and pop-culture, or in the state-supported official custodians of Canadian culture — typified by so-called CanLit — or are unable to generate a certain cultural resiliency on their own. Let me preface my upcoming comments by saying that I have lived closely in the Canadian and American mediascape and soundscape for over forty years. Thus, I am rather familiar with the output of the major media in Canada, and especially in the Toronto cityscape, where I was born and have lived nearly all of my life. Despite claims of over a million persons of Polish descent in Canada, the Polish-Canadian group has become possibly one of the least salient groups in Canada today. The relentless assimilative pressures of North American mass-media in regard to such groups as Polish-Canadians can easily be seen. There is, first of all, just the fact of the loss of most of the Polish language among the generations born in Canada. Secondly, there is the extreme infrequency of even a mention of Polish or Polish-Canadian matters in the mass-media. Also, apart from the infrequency of Polish mentions in the news, there are currently no opinion columnists in any of the major Toronto English-language newspapers — The Globe and Mail, The National Post, The Toronto Star, The Toronto Sun — who could be identified as belonging to the Polish-Canadian community. Nor is the author of this article aware of any such persons working as opinion-columnists at any major Canadian newspaper. The author is also unaware of any such persons working as senior editors at newspapers, magazines, or recognized publishing houses. Nor is he aware of any such persons working as prominent literary agents, or being owners of more prominent bookstore chains. Thirdly, there is the fact of virtually no Polish-Canadian or Polish-American presence in the North American pop-culture. The period when Polish-Canadian identity might finally have had some chance to attract substantial numbers of young people (in the 1960s and the 1970s) was also the time of the burgeoning of a new, dynamic, exciting counter-culture. It was also a period of wrenching cultural revolution, of a “revolt against the elders” into which most young people were drawn. And a new, protean North American pop-culture emerged. In the late 1940s and 1950s, Polish immigrants to Canada had faced the problems of establishing themselves in a climate that often required very hard work. It also often required of renunciation of ethnic affiliations for one’s children, if one wanted to avoid their marginalization. When greater prosperity and the valorization of multiculturalism arrived in the 1960s, this was also a time of wrenching social transformation that tore away children from most of their parent’s values. The publication, Echo, edited by Les Wawrow, in which many articles appeared in English, was probably the only major attempt among young Polish-Canadians to try to “ride the wave” of Sixties’ change, endeavoring to create a unique amalgam of Old Country rootedness and progressive idealism. However, the publication failed after a few years. In the 1960s and 1970s, there flourished the music of the iconic figure, Bobby Vinton. Reflecting the very brief saliency of “white ethnics” in North America, there appeared in the 1970s, a major television network series with a suave Polish detective, Banacek (played by George Peppard). Unfortunately, the show was marred by little research into actual Polish background. For example, even the name Banacek is typically Czech, not Polish. Persons of Italian descent in the U.S. have certainly achieved a far greater presence and participation in North American pop-culture, thanks of course to such phenomena as The Godfather movies, and, to cite another example, the movie Moonstruck (with Cher and Nicholas Cage). Michael Cimino’s Heaven’s Gate, a commercial failure, is one of only a few major Hollywood movies where Poles are rather prominently and positively portrayed. (Although one can be irritated by the helplessness and defenselessness of the Polish victims, in the face of a vicious Anglo Establishment whose portrayal also seems overwrought.) More recently, there have been a number of biographical/historical television specials based on the life and times of Pope John Paul II. About the only subgenre of popular music in America and Canada with a large Polish presence and influence is, of course, polka music. However, it is certainly one of the smaller subgenres of popular music, and has certainly faded even further in the last few decades. In Canada, persons of Ukrainian descent have some presence in the media, for example, the prominent 1980s rock-singer Luba, and hockey-star Wayne Gretzky (although he was somewhat ambiguous about identifying himself as a Ukrainian). There is, of course, a large negative Polish presence in North American pop-culture, in the form of those often nasty “Polish jokes.” The Archie Bunker Show also did not do wonders for the status of Poles in North America. Although the show was obviously meant to send up bigotries of various sorts, the group that seemed to get the brunt of the put-downs were unfortunately Poles (in the person of Archie Bunker’s son-in-law). One supposes that the occasional more positive representations of Polish-Americans in the media — such as Sipowicz in NYPD Blue — have been of some slight comfort to persons of Polish descent in the U.S. and Canada. Many highly successful persons of Polish descent follow the Martha Stewart (born Kostyra) model of total assimilation. Thus, it can be seen that Polish affiliations have a very minute presence in the North American pop-culture. The second area of possible resistance to mass-media assimilation that could be looked at, are the cultural and multicultural policies of the Canadian state. Various levels of Canadian government offer considerable support to what could be considered the quote-unquote “Canadian” part of culture, especially the area of Canadian literature or so-called CanLit. They also offer considerable support to the cultural activities of various ethnic groups and organizations. However, there are very few professionally published Polish-Canadian authors. Certainly no one has reached the prominence of Ukrainian-Canadian author Janice Kulyk-Keefer. She was one of only four core professors at the University of Guelph Master of Fine Arts in Creative Writing program. Along with her Ukrainian-Canadian colleague Marsha Skrypuch, she offers the hope to Ukrainian-Canadians that some important new writers could emerge in the future from that community. As far as the possibility of obtaining government funding for its cultural initiatives, the Polish-Canadian group clearly lacks saliency. A lot of currently prominent areas such as “anti-racism” obviously focus on so-called visible minorities. So, the Polish-Canadian appeal for funding appears rather amorphous and unfocussed in terms of the current-day priorities of official multiculturalism. The third possible area is trying to generate a certain cultural resiliency by one’s own efforts and resources. Here, the Ukrainian-Canadian community has especially excelled. One could specifically mention the work of the Taras Shevchenko Kobzar Literary Foundation. This foundation offers a very substantial annual award to the best book on Ukrainian-Canadian themes. It also offers literary scholarships, such as covering the tuition costs of the prestigious Humber College Writers’ Workshop in Toronto, for those working on a manuscript on a Ukrainian-Canadian theme. There are also very extensive academic scholarships available in the community (reaching as much as $20,000 per year) for graduate students working on Ukrainian or Ukrainian-Canadian themes. Any Polish-Canadian efforts along these lines are rather nugatory. The Polish-Canadian student scholarships of which the author is aware are based mostly on need rather than merit, are available mostly to undergraduate university students, and offer (at the absolute maximum) about $1,000 a year. There appear to be no literary scholarships along the lines of writers’ grants in the Polish-Canadian community. The literary awards of the Turzanski Foundation (which are apparently no more than a few thousand dollars per laureate) have been mostly given out to extremely prominent writers from Poland. Obviously, the various kinds of ethnic media could be of considerable importance to the community. While there are a number of Polish community newspapers of varying quality in Canada, they have almost always been very reluctant to publish articles in English. This tends to cut off the generations born in Canada from the community debates. Another focus for the community could be the endeavors of its prominent scholars, especially in the humanities and social sciences. It could be argued that the holding of academic positions in medicine, sciences, engineering, and other technical areas, and business, has relatively small social and cultural impacts. By comparison, the number of academics of Ukrainian descent in Canada (especially those focussing on humanities and social sciences) is far, far larger. While the endeavors of professor Tamara Trojanowska in the Slavics Department at the University of Toronto have been substantial (for example, organizing a major international conference on Polish themes in February 2006), professor Piotr Wrobel, who currently holds the Chair of Polish History at the University of Toronto, is considered by some as being rather cool to the core concerns of the Polish-Canadian community. Thanks to the isolated but genuinely idealistic efforts of professor Kazimierz Patalas of the Freshwater Institute in Manitoba, and professor Zbigniew Izydorczyk at the University of Winnipeg, there has appeared the book, Providence Watching: Journeys from Wartorn Poland to the Canadian Prairies (Winnipeg: University of Manitoba Press, 2003). This was an English translation of a work which professor Patalas put together with considerable effort, “Przez boje, przez znoje, przez trud: Kombatanckie losy” (Through battles, privations, and hardship: The fate of Polish soldiers) (Winnipeg: Polish Combatants’ Association – Group 13, 1996). Professors Patalas and Izydorczyk undertook a supreme effort to bring the book forward to appearance in English. 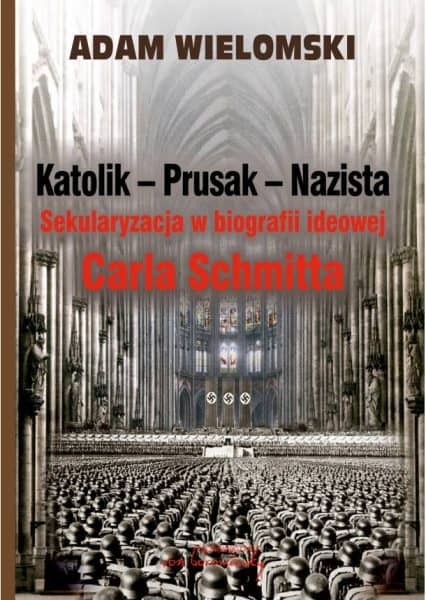 In today’s climate, the publishing of a book friendly to the Polish cause, by a recognized Canadian publisher, requires a huge personal effort and well-established professional contacts. 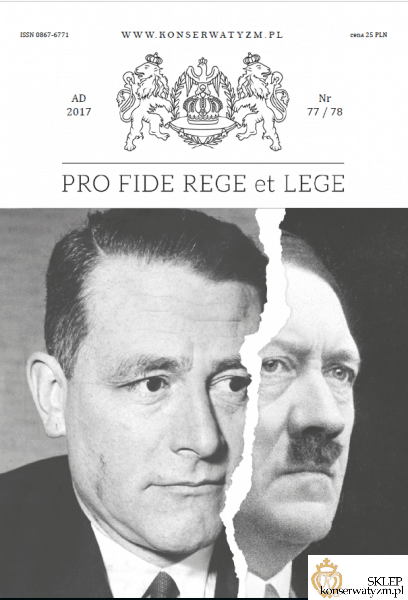 In this case, professor Daniel Stone, who teaches Polish and East European history at the University of Winnipeg, wrote a lucid introduction to the book. From the current-day vantage point, it looks like isolated, individual, self-sacrificing efforts will be the main context of whatever helpful initiatives occur in the future of the Polish-Canadian community. Whether these will be enough to create some kind of enduring Polish-Canadian identity, is rather problematic. In today’s world, especially in the now increasingly-multicultural Canada and United States, “monodal” identities have become less and less likely to occur. Indeed, insofar as some kind of Polish affiliation is to persist in Canada, it will perforce have to be an intermediary, emphatically hyphenated identity. It should be Polish-Canadian – in order to attract persons of the generations born in Canada. This is likely to be the main vehicle for the persistence of a fragment culture. Looking at the life of the Polish-Canadian community today, there does not appear to be any forum or setting or context where a dynamic, intermediary, somewhat enduring, emphatically Polish and Canadian identity can get underway and be consciously worked out. What seems to be happening is rather quick language loss, followed by near-total assimilation into the so-called “mainstream”. But the “mainstream” is not a very interesting and dynamic place to be, today. Nevertheless, in contrast to Dr. Kogler’s pessimism, one should ask the question if it may be possible that further advances in technology could weaken the trends to assimilation that certain earlier technologies have made possible. Earlier technologies such as television tended to be homogenizing and to intensify assimilative pressures. I had mentioned the Internet earlier in the presentation. The Internet is especially helpful today in cases where the person has learned – to a greater or lesser extent — the language of the country of origin of their immigrant parents or grandparents. Today, they can continually refresh their links to their ancestral homeland by reading multifarious material online – including many newspapers, magazines, and journals. Because of the increasingly globalized world, there is also considerable web material available in English from their homeland or from the communities abroad. So, a weak knowledge of the ancestral language does not necessarily preclude some kind of affiliations with the ancestral homeland. They can also if they wish download music and video directly from their home country. They can also remain in close touch with relatives and friends in the home country through e-mail or through live, Internet-based conversations. There could also be, for example, Polish-Canadian themed blogs or Facebook groups. Should one be interested, one can also scout the websites of Polish universities and colleges, for possibly studying in Poland, or taking part in conferences like this one. Secondly, the cost of international regular telephone rates has decreased greatly – and telephone service has become ubiquitous in Poland — so it is possible to regularly converse with persons from the home country – whether on matters weighty or trivial. 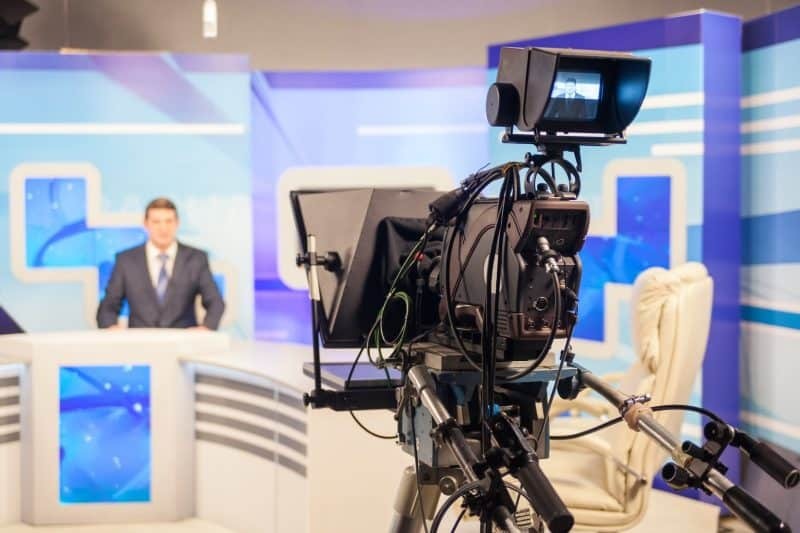 Thirdly, satellite and cable television technology allow the possibility of Polish television channels in one’s Canadian home – notably TV Polonia – a world-wide channel whose main mission is to serve the cultural needs of Poles and persons of Polish descent living abroad. Fourthly, the possibilities of air travel by modern jet, and the fact that such air travel is now comparatively inexpensive, mean that the home country is far more accessible to visits than some decades ago. Thus, contacts with the home country can be renewed through physical trips. It has also become more possible, for example, for families to send younger children to spend the summer with grandparents in Poland, or at summer camp. Fifthly, the ease of new printing technologies means that books or other publications such as newsletters on topics that could help shape debate in the community, or represent the Polish-Canadian community to Canadians, can be fairly easily produced. Such books (or e-books) or other printed and/or electronic publications can, theoretically at least, be widely marketed through individuals’ websites (with payment usually tendered through the current standard Paypal), or through Amazon.com. One of the characteristics of the Internet has been called “the long-tail phenomenon”. This means that very niche products and ideas can find some kind of long-term market and audience. It is also possible to offer or sell materials in purely electronic formats, such as PDFs or e-books; or in fact, to distribute newsletters electronically to pre-set lists. However, the arrival of new technologies, which could perhaps facilitate the persistence of fragment-cultures, may have come too late for the Polish-Canadian community. One thing to note is that immigration from Poland has slowed to a trickle. About 800 Polish citizens are granted landed immigrant — permanent resident status — in Canada per year. Those Poles today interested in travelling abroad — given the possibility of easily travelling to Britain, Ireland, and other countries of the E.U. — would rather go there in search of work and success. However, one thing which might increase contacts is that, relatively recently, the visa requirement for Polish citizens travelling to Canada has been lifted. Indeed, it has been a long time for this requirement to be withdrawn. Unfortunately, the impetus behind this lifting of visa requirements might have actually been the tragic death of Robert Dziekanski at Vancouver Airport on October 14, 2007. Through a combination of bad circumstances, Robert Dziekanski, who was coming as a legal immigrant to Canada, waited alone without any help being offered to him for close to ten hours. When he understandably became angry, he was multiply Tasered by the over-zealous RCMP airport police, resulting in his death. What was especially negligent is that his mother had actually been waiting in a different public part of the airport, and had gone home after being told there was no such person waiting there. It is difficult to think of a group in Canada where that level of neglect is possible, apart from some especially unlucky Aboriginal persons. Another thing to be considered is that, in the current-day, ever more globalized world, Polish culture may be losing its saliency even in Poland. The extent to which the playlists of Polish radio stations, and pop-culture television programs, consist mostly of American rock- and rap-music, is quite amazing. There have also been in Poland the imitations of the American Idol and Big Brother reality-TV shows. Thus, Polish culture in Poland is itself facing processes of assimilation to North American models that are to some extent similar to what the Polish fragment cultures in America and Canada have faced. The prevalent, current-day mood of postmodernism and multiculturalism should in theory encourage the construction of various, strongly-felt, intermediary identities, such as the Polish-Canadian. However, that is not in fact happening. The community lacks significant government- and corporate-supported structures (which are often today the sine qua non for the continuation of community identities), and its own philanthropic efforts appear to have failed. Most Polish Canadians are thoroughly melding and melting into the current-day North American pop-culture. This pop-culture is mostly expressed through popular films, music, and other media products, that often form the basis for a materialist, hyper-consumptionist mode of existence. They are also rapidly assimilating into the bland, culturally unexciting and undynamic, so-called Canadian “mainstream.” It could be argued that the Polish-Canadian fragment-culture is not persisting.